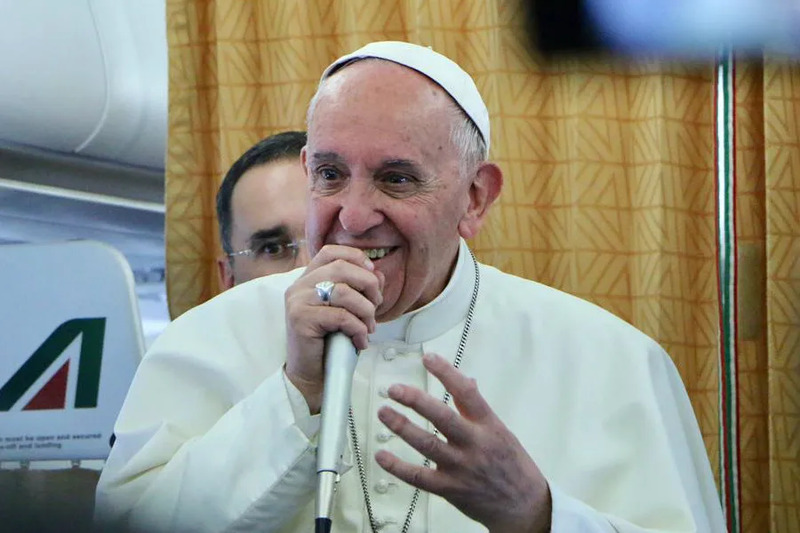 Vatican City, Apr 29, 2017 / 03:41 pm (CNA/EWTN News).- In his conversation with journalists on the way back from Egypt, Pope Francis touched on an array of topics, including North Korea, populism and a possible visit from President Donald Trump. While nothing has been confirmed as far as a meeting with the U.S. president, much of what Francis said in the 32-minute press conference, which took place during his April 29 flight from Cairo to Rome, focused on themes that came up during his two-day visit to Egypt, but which can be applied to some of the major issues up for global discussion today. Greg Burke: Ah, 18, alright great. I didn’t know. Nineteen is around the corner, so also you have a good number of Papal trips now. Thanks for this moment which is always a strong moment for us and let’s start with the Italian group, Paolo Rodari. I don’t know if you want to say something first. Pope Francis: Yes, good evening and thanks for your work because these were 27 hours, I think, of much work. Thanks so much for what you did, thank you. And I’m at your disposal. Greg Burke: Thank you, Holy Father. Paolo Rodari (Repubblica): Hello. Holy Father, thank you. I wanted to ask you about your meeting yesterday with al Sisi. What did you speak about? Topics of human rights were mentioned and, in particular, that you were able to speak about the case of Giulio Regeni, and do you think the truth will be reached in that regard? Pope Francis: On this I will give a general response, to then reach the particular. Generally when I am with a head of state in private dialogue, that remains private, unless, by agreement, we say ‘let’s say on this point, we’ll make it public.’ I had four private dialogues here with the Grand Imam of al-Azhar, with al Sisi, with Patriarch Tawadros and with Patriarch Ibrahim and I believe that if it is private, for respect one must maintain privacy… it is confidential… but later there is the question on Regeni. I am concerned, from the Holy See I have moved on that topic because the parents also asked me to. The Holy See has moved. I will not say how or where, but we have moved. Greg Burke: Dario Menor Torres, from El Correo Espanol. Dario Menor (El Correo Espanol): Thank you, Holiness! You said yesterday that peace, prosperity and development deserve every sacrifice and later you underscored the importance of the inalienable rights of man. Does this mean a support for the Egyptian government, a recognition of its role in the Middle East, and how it tries to defend Christians despite insufficient democratic guarantees from this government? Dario Menor: If these words that you said on the importance of peace, of prosperity and development, saying that they deserve every sacrifice, if we should interpret them as a support of the Egyptian government and how it tries to defend Christians despite insufficient democratic guarantees. Dario Menor: Were you left with the urge to visit the Pyramids? Pope Francis: But, do you know that today at 6:00 in the morning, two of my assistants went to visit the pyramids? Dario Menor: Would you have liked to go with them? Dario Menor: Thanks a million. 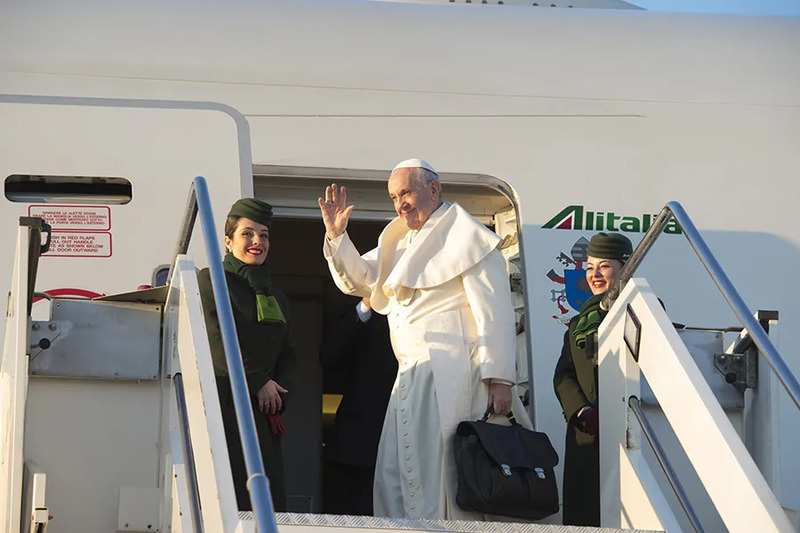 Virginie Riva (Europe 1): Holy Father, a question possibly starting from the trip and extending it to France, if you accept. You spoke at al-Azhar, at the university, about demagogic populism. French Catholics in this moment are tempted by the populist or extreme vote, they are divided and disoriented. 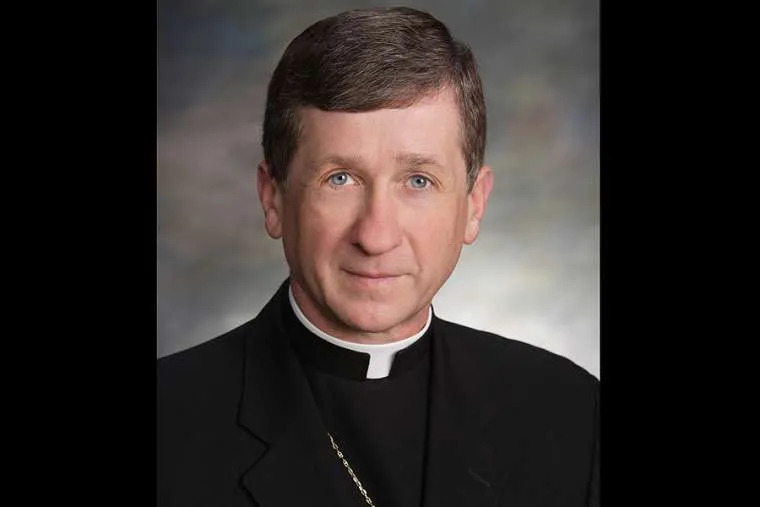 What elements of discernment could you give these Catholic electors? Pope Francis: Great… there is a dimension of “populisms” – in quotes, because you know that this word for me, I’ve had to relearn it in Europe, because in Latin America it has another meaning – there is an issue in Europe and there is an issue of the European Union behind it… that which I said about Europe I will not repeat it here… I’ve spoken about it four times, I believe, twice in Strasbourg, once at the Charlemagne Prize and at the beginning of the commemoration of the 60th. There is everything I’ve said about Europe. Every nation is free to make choices that it believes convenient before this. I cannot judge if this choice is made for this reason, or for another, because I don’t know the internal politics. It is true that Europe is in danger of dissolving. This is true! I said it softly in Strasbourg. I said it more strongly at the Charlemagne [Prize ceremony] and lately without nuance. We must meditate on only that – the Europe that goes from the Atlantic to the Urals – there is an issue that scares Europe and perhaps feeds … the issue is emigration. This is true. But let’s not forget that Europe was made by migrants, centuries and centuries of migrants. We are them! But it is an issue that must be studied well, also respecting opinions, but the honest opinions of a political discussion – with the capital letter, big, with the big ‘Politics’ and not with the little ‘politics’ of the nation that in the end winds up falling. About France, I’ll tell the truth. I don’t understand the internal French politics. I don’t understand it. I’ve sought to have good relations, also with the current president, with which there was a conflict once, but after I was able to speak clearly about things, respecting his opinion. On the two political candidates, I don’t know the history. I don’t know where they come from, nor – yes, I know that one represents the strong right, but the other I truly don’t know where they come from – for this (reason) I cannot give a clear opinion on France. But, speaking with Catholics, here in one of the gatherings, while I was greeting people, one said to me, ‘But why don’t you think big about politics ?’ What does that mean? Well, he said it to me as if asking for help… eh, to make a party for Catholics. This is a good man but he’s living in the last century. For this, the populisms have relationships with migrants, but this is not from the trip. If I still have time later I can return to this. If I have time, I will return. Vera Shcherbakova (ITAR-TASS): Holy Father, thank you first of all for the blessings… you blessed me. I knelt down some minutes ago. I am Orthodox and I don’t see any contradiction with my baptism, anyway, I see it as a great pleasure. I wanted to ask: what are the prospects for the relations between the Orthodox, obviously Russian, but also yesterday in the common declaration with the Coptic Patriarch, the common date of Easter (came up) and that they speak of a recognition of baptism… where are we on this point? 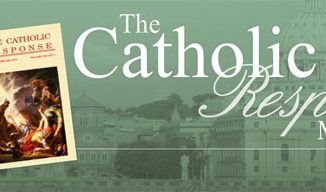 How do you evaluate the relations between the Vatican and Russia as a State, also in light of the defense of the values of Christians in the Middle East and especially in Syria? Thanks. Greg Burke: This is Vera Shcherbakova, of the TASS Agency. Pope Francis: Christos Anesti! I, with the Orthodox, have always had a great friendship, since Buenos Aires, no? For example, every January 6th I would go to vespers, to the complete readings, at your Cathedral of Patriarch Plato, who is in an archbishop in the area of Ukraine, no? And he… two hours and forty (minutes) of prayer in a language that I didn’t understand, but you could pray well, and then the dinner with the community. Three hundred people, a Christmas Eve dinner, not a Christmas dinner. They still couldn’t eat dairy or meat, but it was a beautiful dinner and then bingo, the lottery… friendship… also with the other Orthodox, also sometimes they needed legal help. They would come to the Catholic Curia because they are small communities and they would go to the lawyers. They’d come in and out. But, I’ve always had a filial, fraternal relationship. We are sister Churches! With Tawadros, there is a special friendship. For me, he’s a great man of God! And Tawadros is a patriarch, a pope that carries the Church forward, the name of Jesus before (him). He has a great apostolic zeal… He is one of the most – permit me the word, but in quotes – ‘fanatics’ of finding a fixed date for Easter. I am too. We are seeking the way. But he says, ‘Let’s fight!’ He is a man of God. He is a man who, when he was bishop, far from Egypt, went out to feed the disabled, a man who was sent to a diocese with five churches and he left behind 25, I don’t know how many Christian families with the apostolic zeal. The you know how they make the election among them. They look for three, then they put the names in a bag, they call a child, they close their eyes and the child chooses the name. The Lord is there. He is clearly a great patriarch. The unity of baptism is moving ahead. The guilt of baptism is an historical thing (Editor’s note: Pope Francis seems to be referring to the historical ‘breach’ between the recognition of baptism between the Coptic Orthodox and Catholic traditions. Neither currently recognizes baptism carried out in the other Church), because in the first Councils it was the same, then as the Coptic Christians baptized children in the shrines, when they wanted to get married, they came to us, they were married with a Catholic, they asked for the faith… but they didn’t have it and they asked for baptism under a condition. It started with us, not with them… but now the door has been opened and we are on a good path of overcoming this issue, the door…. In the common declaration, the penultimate paragraph speaks of this. The Russian Orthodox recognize our baptism and we recognize their baptism. I was a very close friend as the bishop of Buenos Aires with the Russians, also with the Georgians, for example… but the patriarch of the Georgians is a man of God, Ilia II. He is a mystic! We Catholics must learn also from this mystical tradition of the Orthodox Churches. During this trip, we had this ecumenical encounter. Patriarch Bartholomew was there too. The Greek Orthodox Archbishop was there and then there were other Christians – Anglicans, also the secretary of the Union of Churches of Geneva (Editor’s note: Pope Francis is referring to the Conference of European Churches) but all that makes ecumenism is on the path. Ecumenism is made on the path, with the works of charity, with the works of helping, doing things together when they can be done together. Static ecumenism doesn’t exist! It is true that theologians must study and come to an agreement, but it will not be possible for this to finish well if we’re not walking. What can we do together? Pray together, work together, do works of charity together… but, together, eh! And move ahead. The relations with Patriarch Kirill are good. They are good. Also, Metropolitan Archbishop Hilarion has come many times to speak with me and we have a good relationship. Pope Francis: Ah, with the State! I know that the State speaks of this, of the defense of Christians in the Middle East. This I know and believe that it is a good thing to fight against persecution… today there are more martyrs than in the first centuries, most of all in the Middle East. Pope Francis: Yes, it’s the focal point! Pope Francis: I would call them, I call them and I will call them like I called on leaders in different positions to work on resolving problems along the path of diplomacy, and there are facilitators, many of them, in the world. There are mediators who offer…there are countries like Norway, for example, no one can accuse Norway of being a dictatorial country, and it’s always ready to help, to name an example, but there are many. The path is the path of negotiation, the path of diplomatic solutions. This world war in pieces of which I’ve been talking about for two years more or less, it’s in pieces, but the pieces have gotten bigger, they are concentrated, they are focused on points that are already hot. Things are already hot, as the issue of missiles in North Korea has been there for more than a year, now it seems that the thing has gotten too hot. I always say to resolve problems on the path of diplomacy, negotiation, because the future of humanity…today a widespread war destroys I don’t say half of humanity, but a good part of humanity, and it’s the culture, everything. It’s terrible. I think that today humanity is not able to support it. Let’s look to these countries that are suffering an internal war, inside, where there are the fires of war, in the Middle East for example, but also in Africa, in Yemen. Let’s stop! Let’s look for a diplomatic solution! And there I believe that the United Nations has the duty to resume their leadership, because it’s been watered down a bit. Pulella: Do you want to meet President Trump when he comes to Europe? Has there been a request for a meeting? Pope Francis: I still have not been informed by the Secretariat of State if there has been a request, but I receive every head of state who asks for an audience. Antonio Pelayo (Antena 3): Thank you. Holy Father, the situation in Venezuela has deteriorated recently in a very serious way, and there have been many deaths. I want to ask you if the Holy See intends to carry out this action, this peacemaking intervention, and what forms could this action take? Jörg Heinz Norbert Bremer (Frankfurter Allgemeine Zeitung): Some days ago you spoke about the theme of refugees in Greece, in Lesbos, and you used this word “concentration camp” because there were too many people. For us Germans this was obviously a very, very serious word, and very close to “extermination camp.” There are people who say that this was a linguistic lapse. What did you intend to say? Pope Francis: First, you must read well everything that I said. I said that the most generous in Europe were Italy and Greece. It’s true, they are closer to Libya, to Syria. From Germany, I have always admired the ability of integration. When I studied there, there were many integrated Turks in Frankfurt. They integrated and had a normal life. There was no linguistic lapse: there are concentration camps, sorry: refugee camps that are true camps of concentration. Perhaps there are some in Italy, or in another area…in Germany, I’m not sure, but you think of what people do who are closed in a camp and can’t leave. Think about what happened in Northern Europe when they wanted to cross the sea and go to England. They are closed inside. But it made me laugh a bit, and this is a bit of Italian culture, but it made me laugh that in a refugee camp in Sicily, a delegate of Catholic Action told me, one of the delegates from the dioceses in Argentina – there is one or two in the area there, I don’t know which diocese – the heads of that city where the camp was spoke to the people in the refugee camp, and they said: you, here inside, it will hurt you and your mental health too…you have to go out, but please don’t do anything bad. We can’t open the door, but we can make a little hole behind. Go out, have a nice walk, and this is how relationships were made with the people who lived in that city, good relationships, and these (refugees) aren’t delinquents, they don’t commit crimes. The sole fact of being closed without anything (to do), this is a lager! (Editor’s note: he is referring to the German name for concentration camp. For example, Auschwitz was a “lager”). But it doesn’t have anything to do with Germany, no. Greg Burke: Thank you Holy Father. Pope Francis: Thanks to you for this work you do which helps a lot of people. You don’t know the good that you can do with your news pieces, with your articles, with your thoughts. We must help people and also help communication, because communication…may the press lead us to good things, may it not lead us to disorientations that don’t help us. Thank you very much! Have a good dinner, and pray for me! Ed Pentin, Elise Harris, Alan Holdren and Andrea Gagliarducci contributed to this report.